Frantone's Pizza and Spaghetti Villa is truly more than just a pizza place. Family-owned and operated since 1964, the Tesoriero legacy is one of good times, good food and good community. Grandma Rose's recipes are still proudly served in a family-style setting that welcomes couples for romantic dinners, as well as larger groups for private banquet room parties. 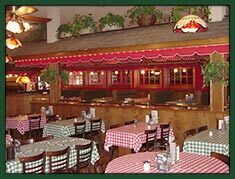 Our family and our team of staff work hard to continue the tradition of serving delicious food in a comfortable setting, where even if you are a first time customer, something about Frantone's will seem familiar. We hope to see you and your family for a meal soon!